It is inevitable that we all will eventually be faced with fine lines, wrinkles and skin laxity to our faces and bodies. 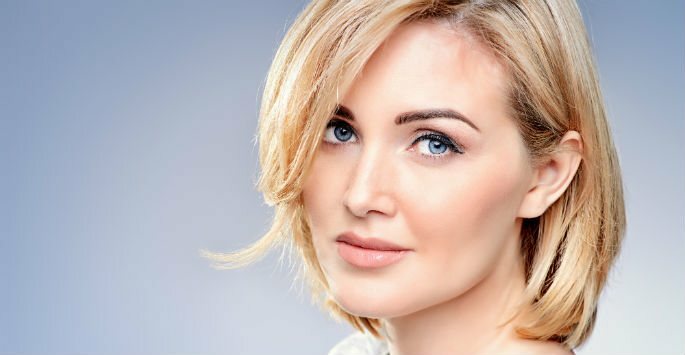 If you’d like to rejuvenate your skin, it may be possible without the need for invasive surgical methods. ThermiSmooth® is a gentle procedure that uses carefully controlled radiofrequency energy to heat the structures below the skin, which tightens and smooths the skin. In addition, new collagen production is stimulated. This helps to firm the skin and soften fine lines and wrinkles over time. Our team at ReFresh Aesthetic Center warmly invites you to discover more about this non-invasive procedure and its many benefits. A Closer Look at ThermiSmooth® ThermiSmooth® is non-invasive, and it actually works. The treatment simply stimulates your own body’s natural collagen production. Results improve over time as collagen growth occurs, and they typically last for quite a while. Maintenance treatments are convenient and will keep your results looking fresh. How It Works The procedure is straightforward, convenient and quick. Sessions are performed in the comfort of our Center in Whitefish Bay. A special gel is placed on the treatment area. Our practitioner will then use a hand-held wand to deliver radiofrequency energy to your skin. The ThermiSmooth® equipment continuously monitors the temperature it emits to ensure safety for the patient. The treatment feels like a hot stone massage! It is the gentle heat from the radiofrequency energy that stimulates the collagen production beneath your skin. This begins the skin tightening process. Depending on your goals and the condition of your skin, multiple treatment sessions are necessary to achieve optimum results. However, clients may see slightly smoother and softer skin after just one session. ThermiSmooth® is versatile in that it may be used on most areas of the body where there is skin laxity, such as the eyes, neck, chest, arms, thighs and love handles. ThermiSmooth® also significantly improves the appearance of cellulite, especially in places like the legs and arms. Candidates Virtually anyone with fine lines, wrinkles and laxity on the face and body is a good candidate for ThermiSmooth®. The procedure is great for treating the skin around the eyes, along the forehead, on the cheeks and around the mouth. It can even tighten the skin along the jaw line, neck and décolleté. A consultation with our knowledgeable aesthetic team will give you the best indication of whether ThermiSmooth® is right for you. Thanks to ThermiSmooth®, there is a non-invasive, gentle way to quickly and efficiently treat facial lines, wrinkles, laxity and cellulite. ThermiSmooth® for the face and body is a fantastic option. Make an appointment with our team at ReFresh Aesthetic Center in Whitefish Bay to get all the facts about this innovative treatment. Contact us today to schedule a consultation!